Small Business Day! Conference & Expo – May 18th. 2017 Small Business Conference & Expo”. Click this link to add to your calendar. Don’t miss this chance to showcase your business amongst other industry leaders in the professional setting that only PBN can deliver.Expand your network and grow your business at the Small Business Expo, presented by Pacific Business News. Put your products and services in front of our region’s small business owners who are looking for financial, human resources, marketing, accounting, technology and other services. Protecting Solar Investments Since 2009! Now is the time to protect your solar investment. 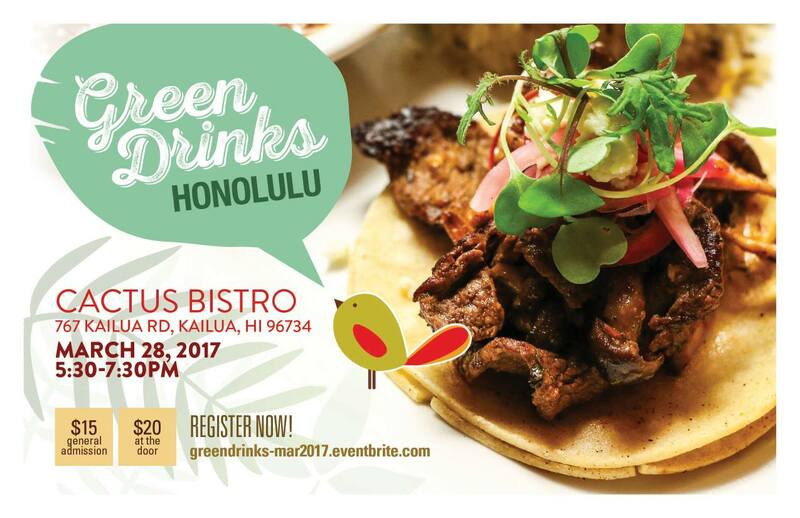 PPC Sponsorship of Green Drinks Honolulu, Cactus Bistro. Mar 28th. Pacific Panel Cleaners is proud to announce our sponsorship of a great long-time event, featuring environmentally-friendly business owners. Green Drinks Honolulu is a series of pau hana networking events designed to bring together like-minded individuals interested in a greener planet. We’re part of a wider network of Green Drinks chapters around the world that meet regularly for drinks and conversation about sustainability. 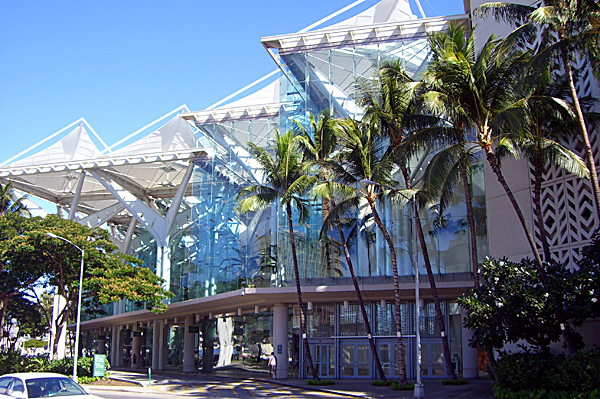 Our Honolulu chapter attracts a lively mixture of professionals from NGOs, academia, government and business—stop by and you’ll be made welcome! These unstructured events are a great way to make new contacts, catch up with people you know, develop ideas, strike deals and forge a sustainable future for Hawai’i. 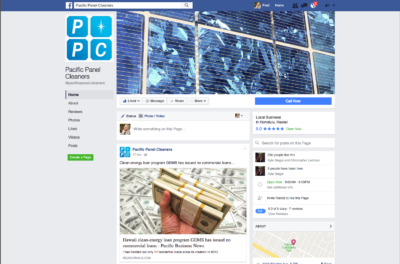 Hurricane Lane: PPC has photo records of your panels! Please contact us anytime. 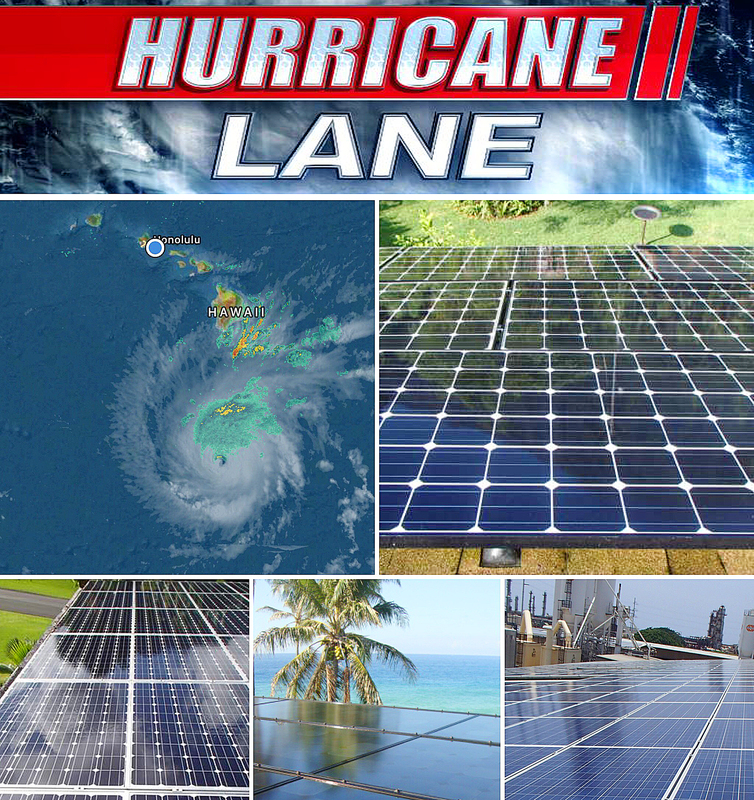 If Pacific Panel Cleaners, LLC has cleaned and inspected your PV systems and you are worrying about what to do if there is an insurance claim now or after Hurricane Lane passes for your damaged or destroyed panels, don’t worry! We have photos, records, and the report of the condition of those panels when we were last at your location, performing our PV cleaning and inspection services. Our team is here to help protect your solar investment and we are here for you in calm times and stormy! Pacific Panel Cleaners New Location! About Pacific Panel Cleaners. Call Us Today!